This is the tenth in a series of articles highlighting photos and ephemera from a scrapbook compiled by Private John Denholm of the 16th Battalion (Canadian Scottish) during the First World War. The 16th Battalion remained in the Fleurbaix area for 25 days rotating between the trenches, Brigade reserve and Divisional reserve. Private John Denholm’s scrapbook includes a series of photographs taken during this period and I’m featuring two of them today. 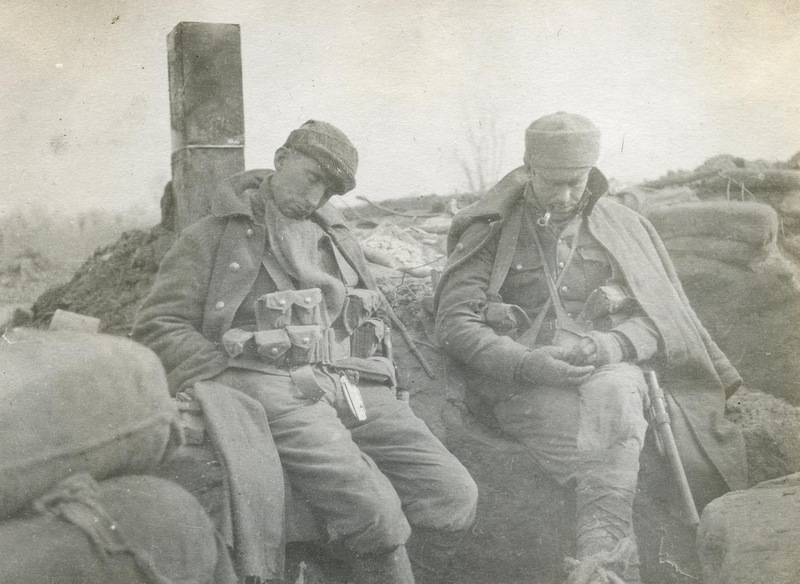 Both name soldiers trying to catch forty winks after a long night in the trenches. Denholm entitled the photo on the left “Wilson and Campbell Snoozing“. The napping soldier on the left is almost assuredly Nathaniel Grant Wilson (#29042) who was pictured in both my Chums in the Hut and Bound for France articles. The soldier on the right is more difficult to identify as the 16th Battalion had no fewer than 14 Campbells on their nominal roll. However it could be Private Donald Elgin Campbell (#28693) who was in the same company as Wilson and a married man (note that this soldier is wearing a wedding ring). Donald Elgin Campbell was seriously wounded by a shell fragment at Festubert on May 18, 1915 and was eventually discharged as being unfit for service. He returned to Canada and died in Goderich Ontario in 1957. Arthur Arrol Black (#29037), a.k.a “Blackie”, was a Lance-Corporal when the first photo was taken but he was promoted to Corporal on April 22, 1915. John Denholm assembled his scrapbook after the war and so he captioned the photo “Cpl Blackie: Dead Beat“. 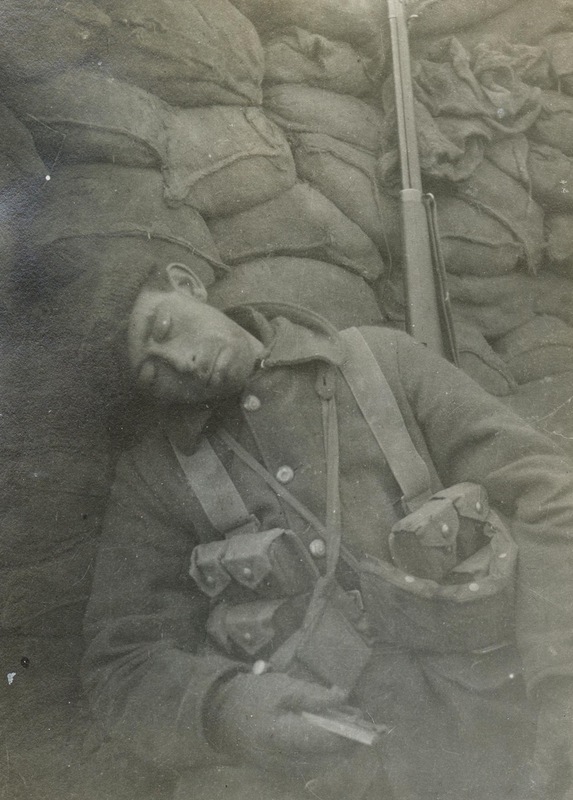 This same photograph appears in Pte George McKenzie‘s scrapbook labeled “The Sleeping Beauty“. Arthur was born on Sept 23, 1887 in Row, Dunbartonshire to John Arthur Black, a shipowner, and Margaret Arrol. He emigrated to Canada in 1911 and joined his older brother in Vancouver where he worked as a steamship agent. On August 17 1914 he married Ruth Eliza Squire, the daughter of former Royal Navy Commander Mountjoy Squire, at Christ Church in Vancouver. Although his attestation papers show Arthur enlisting at Valcartier on September 23, 1914 he had in fact joined the 72nd Seaforth Highlanders of Canada in Vancouver just days after war was declared. On April 20, 1915, just two days prior to the Second Battle of Ypres, Arthur received a gunshot wound to his right thumb. He was out of action until he rejoined his battalion on June 15th. Less than a month later, on July 6th, he fractured his right ankle when jumping into a trench at Neippe. This injury saw him evacuated to England where he passed through a series of hospitals and convalescent homes. He never returned to the 16th Battalion because in January 1916 he was appointed a commission in the 3/9th Highland Light Infantry. 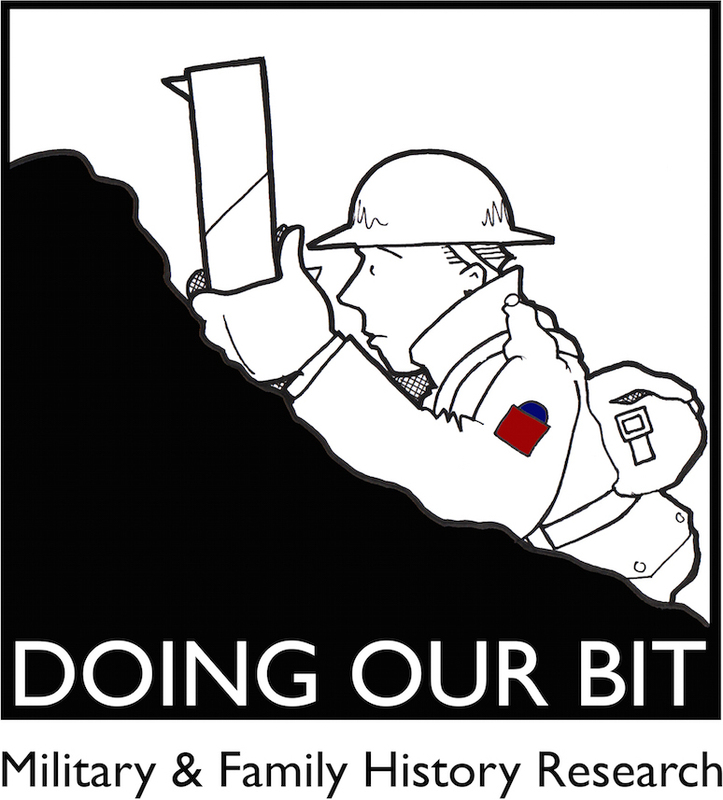 The 3/9th Battalion was absorbed by other battalions and eventually became part of the Forth Garrison in Edinburgh. Arthur Arrol Black died in Tenterden, Kent on May 8, 1932 aged 44.